Chris Young with the Yankees in September. Young and Boston agreed in principle to a multiyear deal, according to multiple reports. When Yankees General Manager Brian Cashman was discussing Chris Young, his only free agent of any real consequence, at the general managers’ meetings last month, he could not have been more complimentary. He effusively praised Young’s production as well as his clubhouse presence. The next day, the Yankees traded for Aaron Hicks, giving them a crowded outfield — unless they are able to trade Brett Gardner for more starting pitching. 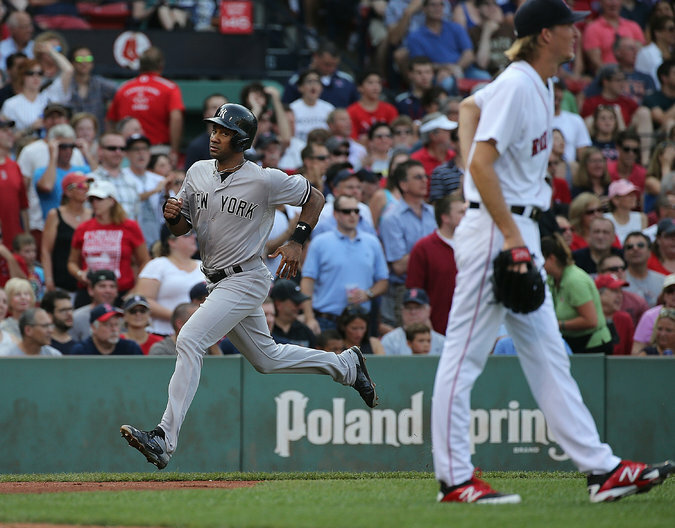 Once the Yankees acquired Hicks, it became clear that as long as they had four outfielders, Young was headed elsewhere, no matter how many petals were laid at his feet.